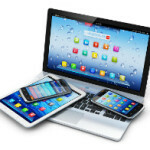 Young Mobile Users Continue to Widen the Gap! Posted April 18, 2014 & filed under Mobile Banking. Mobile banking among younger generations shows that the gap continues to widen away from the use of PCs. To read more of this interesting article posted by the Credit Union Times be sure to click here. Data Systems also provides Remote Data Capture and Disaster Recovery Services for our clients. Contact us for more information about Sharetec and Data Systems of Texas or call Lori Tuyo at 1-800-245-7504.